Scandinavian site location - How does this impact on log cabins? “How might a Scandinavian Site Location affect the Log Cabins found here? Scandinavian site location does differ from that found in other parts of the world! For one thing there are a lot of trees, lakes and countryside in Scandinavia. The Scandinavia countries tend to be quite long and thin in shape and the distances from north to south can be quite large. Norway is famous for its’ Fjords, but Finland has countless lakes too, albeit located in much flatter terrain usually. Sweden also has a lot of lakes too. Norway is the most mountainous, followed by Sweden, with Finland having a lot more flat or gentle landscapes (especially in the south). They all tend to have cold climates, but this becomes a lot more extreme in the north, which is inside the artic circle! 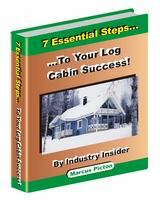 Which aspect of Scandinavian site location for log cabins are the most important? Many a Scandinavian site location for log cabins, are close to lakes and therefore certain aspects become more important to them. Understandably the Scandinavians want to make the most of these great views and the log cabins are often designed with this in mind. Lots of glass to the front will help to maximize the view from the inside. While a large covered veranda will help to maximize the view and use of the cabin from the outside. A well covered veranda also means the weather doesn’t have to be great, to enjoy being outside. A large covered area also offers great protection from the winter weather, whilst allowing users to enjoy those long summers evening to the maximum! Most lakes are unlikely to have much of an impact, but large lakes in remote windy areas and especially locations right by the sea, do most definitely need looking at. Water not dealt with correctly, can lead to eventual problems in the logs. If this water also happens to be salt water, which is driven inland as spray, by the prevailing wind, you must look after your log cabin with the utmost care. Saying this is not designed to put you off having a coastal log cabin site location, but from real experience I know how damaging constant salt water can be to timber! So how do we minimize any potential hazards that a sea or lake could have on a Scandinavian site location? Well, think about where your proposed site is, how close to the water is it and also which direction is the prevailing wind? If you have a large site it may be possible to still have great views, but have your log cabin far enough away that any potential water spray or splash will not affect the logs. Also if your log cabin is in the direction of the prevailing wind, from the water, can this be changed by alternative locations? If you are in a coastal location some kind of screening could also help to keep the salt water spray away from your log cabin. As previously mentioned the prevailing wind can have an affect on your Scandinavian site location. Whilst this is normally only a real potential hazard on the coast or by large exposed lakes, very exposed log cabins in rainy areas which are very windswept can be more at risk too. In mountainous locations of higher altitude the high winds which can occur here may cause highly driven rain or snow, which is more likely penetrate a defective seal or joint. Now this shouldn’t stop you building a log cabin, but you should be very vigilant in terms of inspecting and maintaining your log cabin. Any other protection which can be implemented in these locations, will also be a benefit. Large roof overhangs, sheltered spots, windbreaks from landscaping or vegetation can all be used to great effect. Where your site is in relation to trees, hedges and other large vegetation, can be either an benefit, or a potential hazard! They can be good for shielding you from the elements, providing privacy, and generally enhancing the natural environment. On the other hand they should not adversely be able to affect your log cabin, now or in the forseeable future too! Scandinavia is well known for its timber and therefore there are many large expanses of forest here. If you plan to build near one take precautions! Trees in particular can interfere below ground with the foundations, or grow above ground so much they come into contact with your log cabin. If you are planning a log cabin near to trees, check on the species and how big they are likely to grow, and how far their roots spread. If you are planting trees on the site to establish it nicely, pick your species carefully. Also avoid using plants which like to creep all over walls, this can cause real difficulties for maintenance and painting. Make sure all trees and hedges close to the cabin, are well trimmed back, so that in windy conditions they can not come into contact with your log cabin. We have already covered the weather here in another section. In case you haven’t read this though, it is common for a Scandinavian site location to have long period of cold weather. 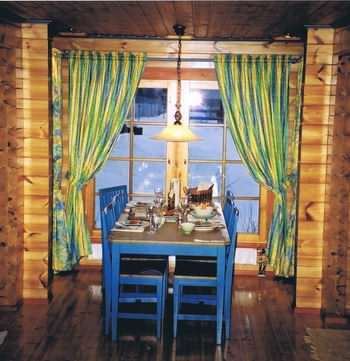 The snow has a large impact on design and combine this with other factors such as mountainous and/or lakeside locations, it is easy to see why log cabins designs are influenced here. Protecting both the occupants and the structure from the elements is a high priority here.